Holden teams believe that there is more performance to come from the ZB Commodore as they begin to understand and develop the brand-new car. Since the ZB’s debut at the start of the 2018 Virgin Australia Supercars Championship, Holden teams have won seven of the eight races, and claimed a clean sweep of fastest laps. Holden’s Executive Director of Marketing Mark Harland even attributed the car’s immediate performance as part of the reason for shelving plans to introduce a V6 twin-turbo engine, saying he is satisfied with the current eight-cylinder package. According to teams, there is more to come as they begin to fully understand and develop the car. At Brad Jones Racing, that means getting up to speed on the new car before introducing new variables. “The wing is in a different place, the car’s smaller and a different shape, and so it’s about learning how that impacts on what you’re doing with the set-up of the car, so it’s different enough,” Brad Jones told Speedcafe.com. “With any car, you don’t turn up every day with exactly the same set-up, so once you understand the car you know what tools to get out of your toolbox to change different aspects of that car depending on what you’re looking for. “And when you have a new car it’s learning how those tools, or which tools, impact the most and what changes what. “It just takes time and the more time you spend with the car the more time you understand what tools you need to make it turn harder or drive better or whatever it is you’re looking for. “And everything else contributes to that, weather conditions, track surface, day temperature, there’s lots of things that impact on what you’re trying to achieve. “I think for us at BJR it’s more just about learning about the car and ticking boxes,” he added. Having taken a clean sweep in both qualifying and the four races across the Adelaide 500 and Tasmania SuperSprint weekends, Triple Eight is already looking to improve the performance of its car. Key among its priorities is to establish a good underlying setup which allows the team to roll a fast car out of the truck every weekend. “We’ll be working hard to make sure we keep moving forward, or at least try to move forward,” explained team manager Mark Dutton to Speedcafe.com. “We’ll design some parts, we’ll have some new bits; they might be worse (but) if they are, we’ll learn from that and we’ll keep going forward. Though the fundamental car has been homologated, there remain a number of freedoms which teams can explore in an effort to bring greater performance. “We’ve developed an aero package but mechanically underneath that everyone can develop different suspension components and various tuning things that you’re allowed to do that aren’t tied down,” Dutton said. “With the ZB project that meant all of that sort of development had to be put on hold while we designed a whole car for half the field, so definitely it’s now going back and looking at our design list, all our things that are on the wishlist, and there are some big ticket items there. Exactly how much potential remains in the car is uncertain, with Dutton’s initial focus on widening the car’s ‘sweet spot’. “It is (lap time), but it’s more so tuneability and being able to tune the car, that’s what you want the new bits for,” he said of what the team was seeking from its developments. “So if you have a handling issue, whether you need more front grip or more rear grip or power down or whatever, it’s having tools that make it easier to tune a car and find the sweet spot. The introduction of the ZB Commodore has coincided with a resurgence at Walkinshaw Andretti United, the team which has morphed into from what was Walkinshaw Racing last season. Having gone winless in 2017, the team has already recorded a victory this season courtesy of a break-through success for Scott Pye at the Grand Prix, while James Courtney has also been on the podium twice. It has given the team strong momentum, and while team boss Mathew Nilsson refuses to isolate any specific area for the upturn, he acknowledges the ZB Commodore has certainly been a contributing factor. Like Triple Eight, Nilsson’s squad is already looking at ways to further develop the car. 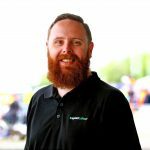 “Of course, every team up and down pit lane does,” Nilsson told Speedcafe.com when asked if there was a development program underway for the new car. “There are plenty of ideas, we’ve just got to implement and work through it. Racing sort of gets in the way sometimes, but there’s good progress being made there as well. “Nothing that I want to go into because obviously we want to get performance out of it,” he stated regarding of areas of focus. “It encompasses the whole car, really. The aero package, the weight distribution, all those kind of things. 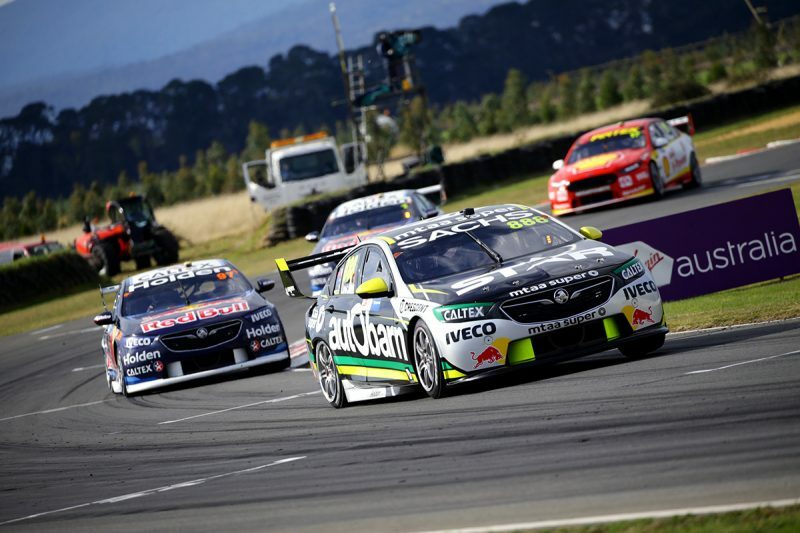 The Supercars Championship next heads to Phillip Island on April 20-22 for what will be the ZB Commodore’s first truly high speed test of the season.